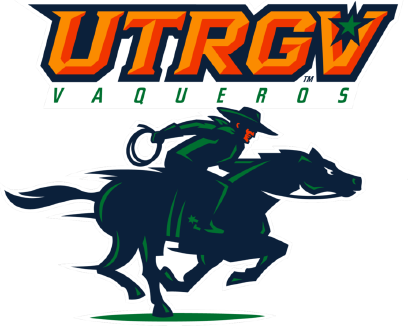 EDINBURG — The UTRGV baseball team dropped its final nonconference game 11-4 to Incarnate Word on Tuesday at UTRGV Baseball Stadium. UTRGV (21-24) scored its first run in the fourth on sophomore Elijah Alexander’s third home run of the season. That was the first hit against Tyler Perez (3-1), who retired the first seven batters he faced before walking freshman Mercedes alum Oliver Closner IV. UTRGV also scored in the sixth on two-out singles by senior Austin Siener and junior Aaron Dees and a wild pitch that scored Siener. Dees finished 2 for 4 with a double. Perez went 5 2/3 innings, allowing four hits and two walks while striking out five. UIW (28-18) scored against junior Jerred Quartier (0-2) in the first on an RBI single by David Anaya. Quartier responded by striking out the next four batters. He didn’t allow anything else until the fourth, when, with one out, Ryan Flores doubled and Ryan Gonzalez singled to score a run. After an error, Sean Arnold and Shea Gutierrez hit back-to-back singles to drive in runs and give UIW a 4-0 lead. With the score 4-1 in the sixth, UIW loaded the bases with nobody out, setting up a bases-loaded walk by Gutierrez and a sacrifice fly by Ridge Rogers. One out later, Eddy Gonzalez hit an RBI single. Then, after an Anaya walk reloaded the bases, Flores walked to force in a run and cap the inning with the score 8-1. After UTRGV scored three times in the bottom of the inning, Rogers hit an RBI single in the seventh to extend UIW’s lead to 9-4. UIW added two more runs with two outs in the eighth on a Flores RBI double and a Ryan Gonzalez single. UTRGV kicks off a six-game road trip with the first of three at Northern Colorado at 4 p.m. Friday.